You don’t have to spend a lot to bring birds into the yard! Birdbaths at garden centers can be too elaborate, too costly or both. 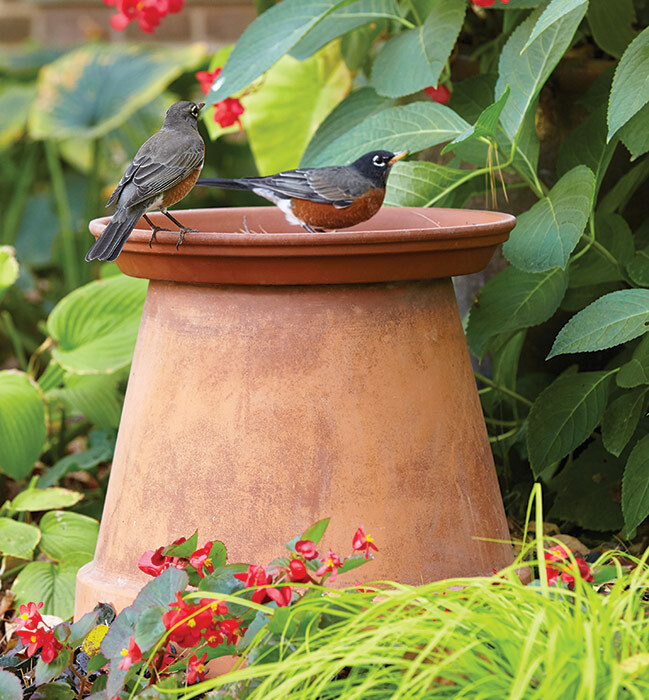 A simple and money-saving alternative is a birdbath made of a terra-cotta container and saucer. Plus, this is a great way to still get use from a pot that might be cracked or chipped. Pick an empty place in the bed or border and just turn the container upside down, set the saucer atop the base and fill it with water. Birds like the robins below, will enjoy visiting, and it’s a pretty, natural accent in the garden. 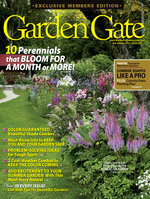 For more tips on how to bring birds to your garden, read our article Six plants birds love. 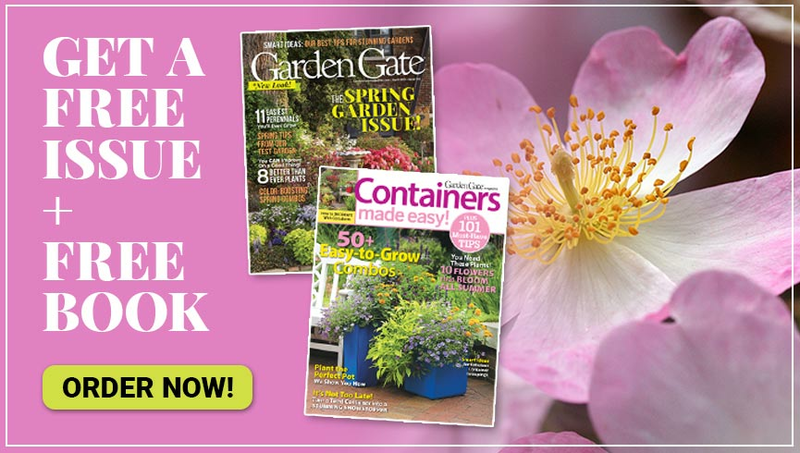 Follow these simple steps to make more of your favorite woody plants — for free! 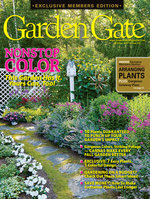 This easy-to-grow, unique perennial provides tons of summer color and texture.